Despite housing some of the human body’s most crucial anatomical components, the neck is also delicate and easy to injure. When a neck injury does occur, the effects can be debilitating or, sadly, even fatal. 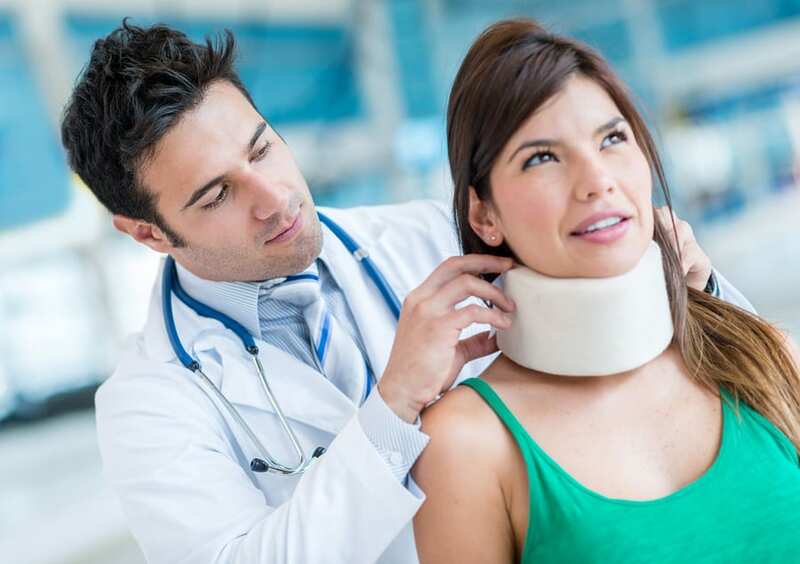 If you or one of your loved ones suffered a severe neck injury due to another person’s negligent or careless acts, you could be entitled to compensation. The personal injury lawyers of Hasbrook & Hasbrook can help. Representing injury victims in Oklahoma City and throughout the surrounding communities, our skilled and highly accomplished attorneys handle a wide variety of claims involving neck injuries, including automotive accidents, slip and fall accidents, medical malpractice, and more. When we take on a case, we work with only one goal in mind: obtaining compensation, justice, and closure for injury victims and their loved ones. With more than 75 years of combined experience, we know what to look for when investigating the causes of an accidental injury. To learn more about how we may be able to help you recover compensation for your accident, call our law offices at (405) 698-3040. We will answer your legal questions and provide you with a straightforward assessment of your case. Your consultation is completely free of charge, and we will always keep your information confidential. The neck contains some of the body’s most important structures, including the larynx (voice box), thyroid, parathyroid, jugular vein, carotid artery, esophagus and trachea (windpipe). All of these structures play vital roles in maintaining good health and normal physical function, so when an injury occurs, the medical consequences can be devastating. When a company or person fails to exercise normal precautions and care standards, and a person is injured or killed as a result, it may be described as negligence, proving the existence of which is vital to personal injury claims and lawsuits. However, negligence can take on many different appearances depending on the type of accident which occurs. For instance, in a case involving a car accident, negligence might involve running a red light or failing to pay attention to the road. In a case involving a slip and fall accident, negligence might involve a property owner’s failure to perform adequate property maintenance, leading to hazardous conditions for residents, visitors, and customers. In a case involving a construction site accident, negligence might involve failure to follow normal safety procedures when operating a machine or securing building materials. Our attorneys will comb through records, analyze physical evidence, interview witnesses, and consult with industry experts in an effort to prove that negligent conduct was responsible for your accident and resulting harm. In addition to the trachea, thyroid, and other critical structures, the neck also houses the uppermost portion of the spinal column, which is known as the cervical spine. The cervical spine consists of seven small vertebrae, which help support the head, allow flexibility, and protect the fragile spinal cord. The spinal cord, a bundle of nerves which transmits messages between the brain and body, is one component of the spinal column (backbone), which also contains discs that act like shock absorbers. Each individual vertebra is named with a number and letter. Cervical vertebrae are designated C1 through C7, with C1 all the way at the very top of the spinal column. The higher on the spinal column an injury occurs, the more serious the medical consequences tend to be. Because of their high location in the spinal column, injuries to the cervical vertebrae are often disabling or result in wrongful death. Injuries to C1 through C4, which are called “high-cervical,” can result in lost or impaired ability to speak, as well as total paralysis below the neck, which is called quadriplegia or tetraplegia. If the victim is completely paralyzed, he or she may need help with basic, daily tasks, such as cooking, eating, getting dressed, and bathing. He or she may also suffer from breathing problems and require assistance from a respirator. C5 Injury – Partial to total paralysis is likely. The victim will still be able to speak, but may have difficulty breathing. Some independence is generally possible with a motorized wheelchair. C6 Injury – Paralysis generally affects the hands, trunk, and legs, though wrist movement is sometimes possible. The victim may suffer from incontinence. C7 Injury – The victim may suffer from incontinence. Basic tasks are generally possible, but complex tasks may require assistance. Normal arm and shoulder movement may be possible. If you suffered whiplash, a pinched nerve, or other neck injury in Oklahoma City, or if one of your loved ones became paralyzed after their cervical spine was damaged, the personal injury attorneys of Hasbrook & Hasbrook may be able to help you and your family recover compensation for your current and anticipated medical bills, lost earnings, and other hardships and expenses. To set up a free, completely confidential legal consultation with Hasbrook & Hasbrook, call our law offices at (405) 698-3040.